At the northern end of the Chihuahuan Desert lies a mountain ringed valley called the Tularosa Basin. 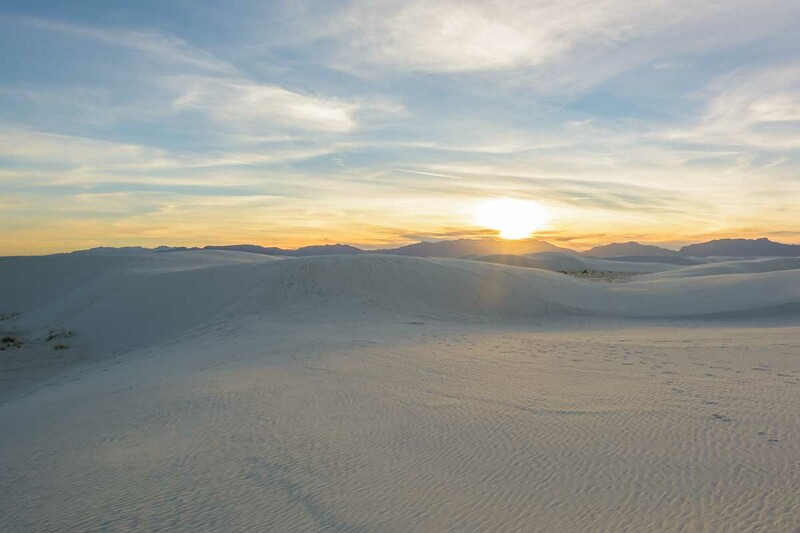 Rising from the heart of this basin is one of the world’s great natural wonders – the glistening white sands of New Mexico. 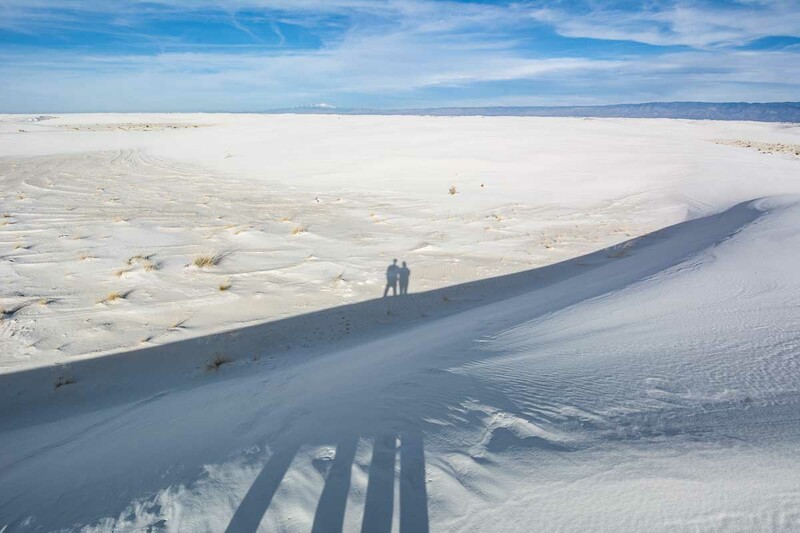 Monument preserves a major portion of this gypsum dune field, along with the plants and animals that have successfully adapted to this constantly changing environment. 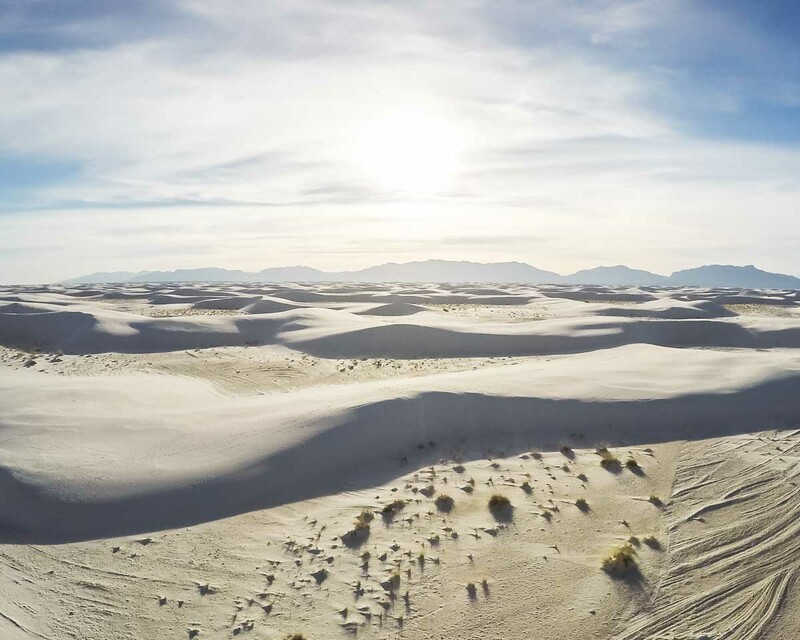 An eight-mile scenic drive leads from the Visitor Center into the heart of the dunes. Wayside exhibits at pullouts along the drive provide information about the natural history of the park. 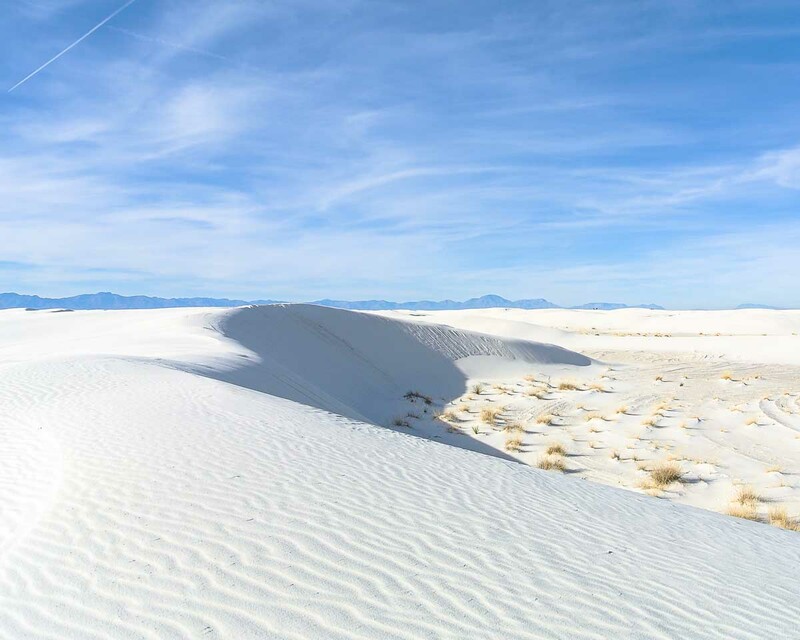 Numerous parking areas along the drive allow visitors to stop and walk in the white sands. Allow 40 minutes driving time for the 16-mile roundtrip, plus additional time for walking, photography or stopping at pullouts. The Interdune Boardwalk has interpretive exhibits. $20 per vehicle or $10 per person — The lesser amount will be applied.